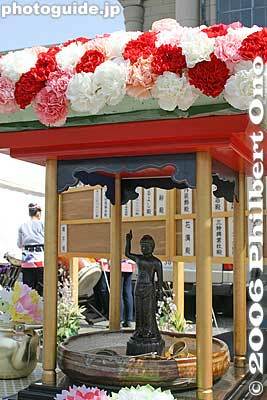 Hanamatsuri celebrates the Buddha's birthday on April 8. This is Tsukiji Honganji in Tokyo. The flowers symbolize Lumbini Garden where the Buddha was born in present-day Nepal.